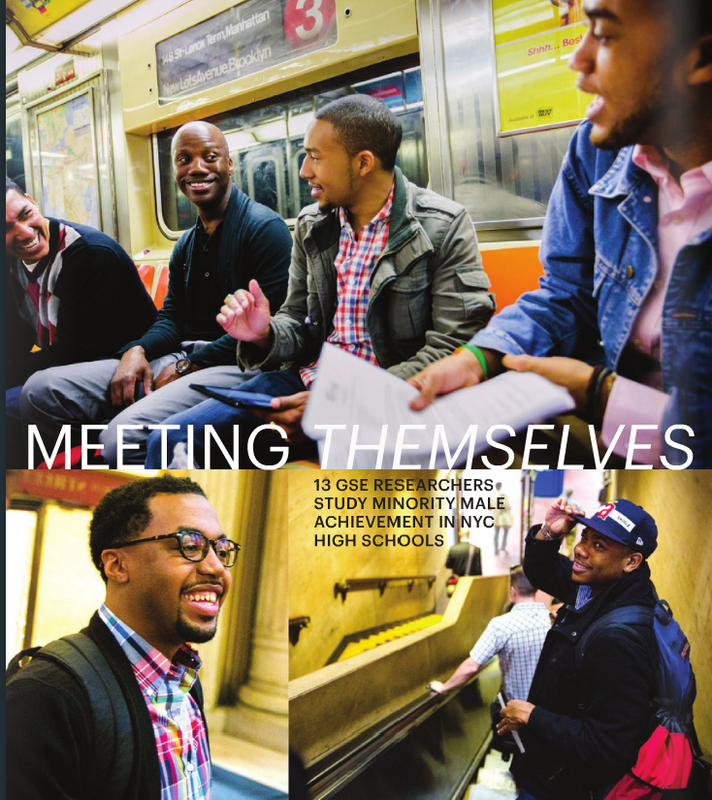 We were thrilled to find out this week that the work we did with former client Dr. Shaun Harper was published in The Penn GSE Alumni Magazine. It was wonderful seeing a glimpse of the final project knowing the effort that went into its completion. Dr. Harper, gathered a team of graduate and doctoral students whose backgrounds were similar to the young men they would be interviewing. Selecting schools in all five boroughs of New York City, researchers interviewed over 300 successful high school students of Latino and African American descent. Over the course of two days Rebecca and I accompanied Shaun and we were privileged to sit in on some of the interviews. Meeting these young men and hearing some of their tremendous stories of overcoming adversity physically, socially and economically, was powerful. JPG used a combination of its photojournalism and commercial portrait experience to add visuals so the power of these stories was more than words. It’s an honor to be part of such a groundbreaking report, meeting these teens and seeing them thrive, gave me a lot of hope but also a lot of drive in how we need to improve the contemporary model of education. Thank you Shaun, for your important work and for providing us with this eye opening experience.